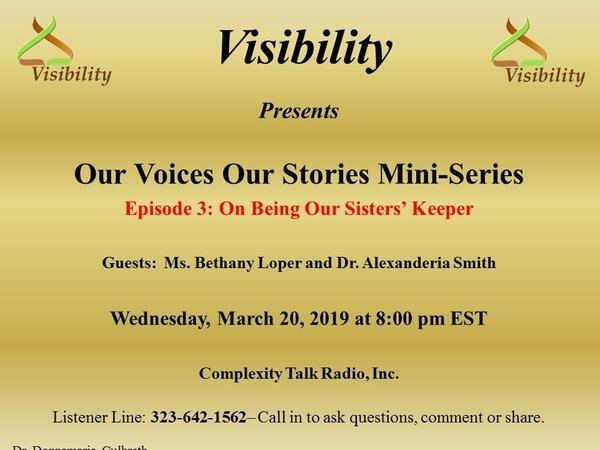 Join Dr. Culbreth and guests, Ms. Bethany Loper and Dr. Alexanderia Smith for a discussion on embracing girls and women of color. This episode will focus on how women of color act, react and interact with other, embrace each other and move within and around each other personally, academically and professionally. Topics include: jealously, being envious, race and color, mixed race identity, unity, on loving our sisters, supporting each other through the good, bad and ugly moments, interracial and intraracial unity among women of color, the need to protect, the evil eye, glares, negativity, issues experienced by women of color in the workplace, and the reasons why we embrace girls and women of color, etc.